Get up to $30 off wheel alignments. Get a Pep Boys Conventional Oil Change service for only $19.99. Includes a courtesy vehicle inspection. 20% off DIY shocks and struts or 50% off installation of shocks and struts. 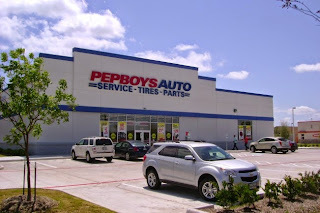 This month get a free A/C check at Pep Boys plus 10% off A/C Related Repairs. Stop by Pep Boys with this coupon and receive a free Brake Inspection. Plus 15% off brake service. View all their coupons in one place..